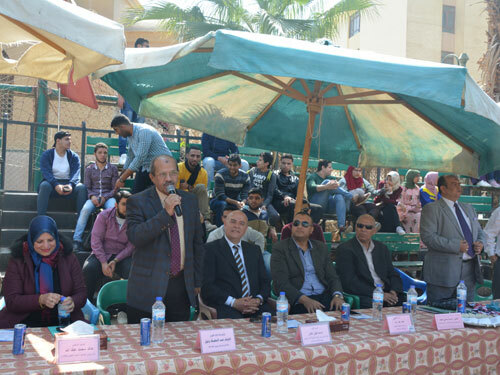 Prof. Ashraf Abd El-Hafeez, Acting President of Fayoum University, accompanied by Prof. Khaled Atallah, Vice President for Education and Students Affairs, witnessed the Closing Ceremony of the Second Sports Festival at the university. 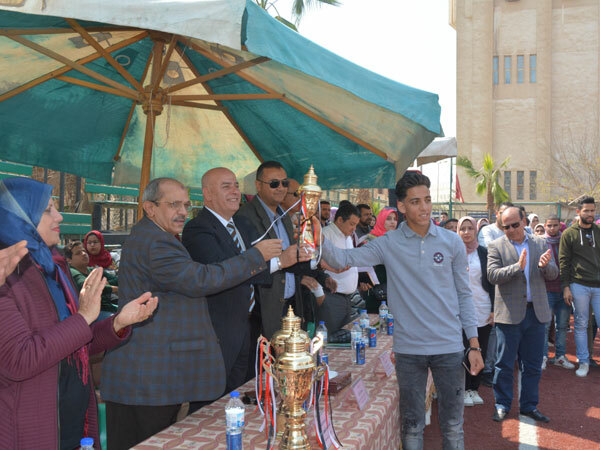 This sports festival was held under the patronage of Prof. Khaled Abd El-Ghaffar, Minister of Higher Education and Scientific Research, and Dr. Ashraf Sobhy, Minister of Youth and Sports. 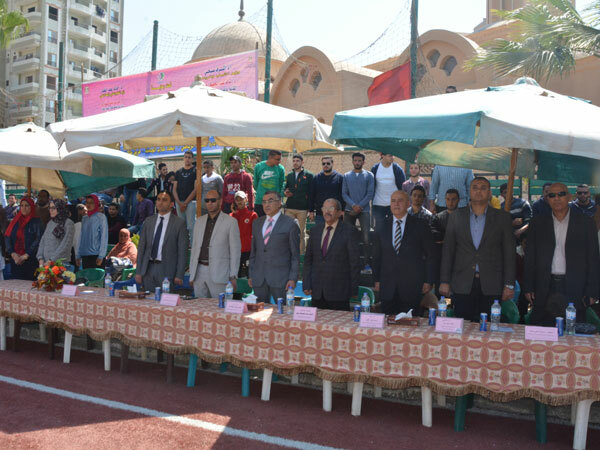 It was organized by the Central Administration for Sports Development at the Ministry of Youth and Sports and the General Administration of Youth Welfare at the university during the period from 13 to 18 March 2019 in presence of Major General Ismail Al-Far, Undersecretary of the Ministry of Youth and Sports, Head of the Central Administration for Sports Development, Prof. Hamdy Nour El-Din, Dean of Faculty of Physical Education, Prof. Zeinab El-Bahy, Dean of Faculty of Social Work and Dr. Wael Tobar General Coordinator of Student Activities at the University, Dr. Emad Abd El-Salam, Media Advisor, Dr. Somaya Samy Mohamed, Coordinator of Sports Festival of Universities, Mr. Ahmed Abd Rabbo, General Director of Students Activity Department at Ministry of Youth and Sports and a large number of university students at Faculty of Agriculture's playground. Prof. Ashraf Abd El-Hafeez welcomed the attendance and stressed the importance of sports activity in the universities and its effective role in instilling the values of fair competition among its students. He expressed his pride in the excellence of Fayoum University in sports activities at the level of Egyptian universities, pointing to the interest of the state and political leadership in sport and its keenness on adopting talents in all sports activities. He congratulated the winning students at the festival. 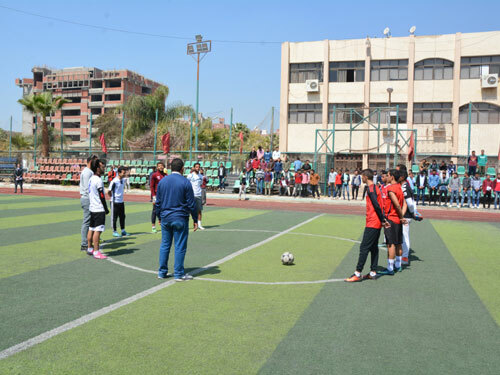 During the festival, four groups games and four individual games were played for male and female students including football, handball, volleyball, basketball, volleyball, wrestling, table tennis and athletics. 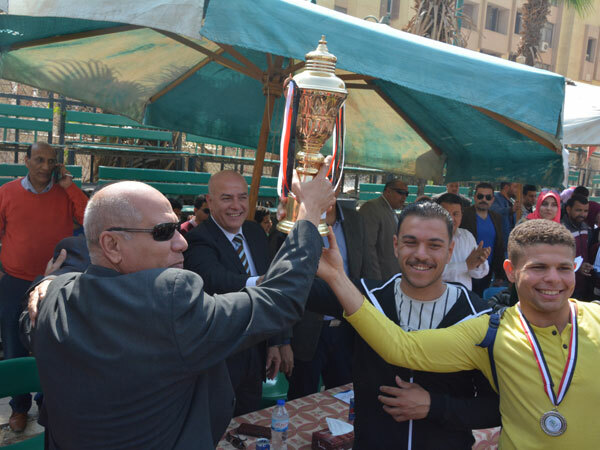 The winners are: Faculty of Arts "third place" and nursing "second place" and physical education ranked third in the overall ranking of all competitions. 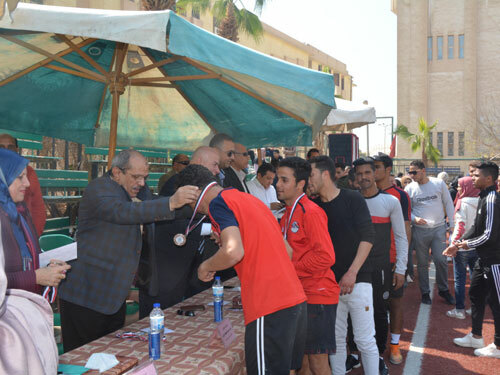 At the end of the second sports festival, Prof. Ashraf Abd El-Hafeez honored the cups and medals to the winning colleges during the competitions.